Located only 1 mile away from the busy Highway 114, Via Real provides a beautiful escape from our daily routines with its serene Santa Fe-style décor, fine dining menu, and excellent wait staff. 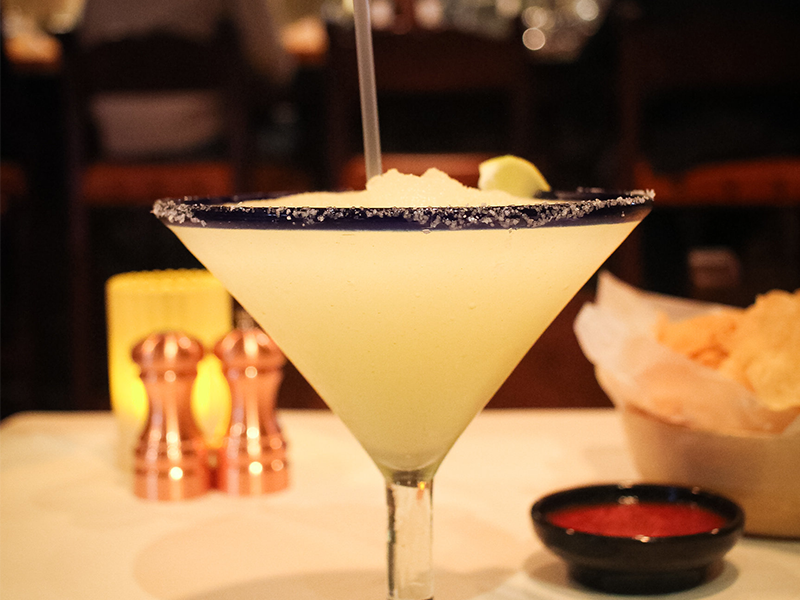 For National Margarita Day, they are offering $5 house margaritas all day! Must try: 28 ounces Margarita (available on the rocks or frozen), it’s huge so get ready to stay there a while to finish at least half of it! Have it with some chips and salsa, Ceviche (chilled shrimp & bay scallops with lime and tomato juices) or Tapas Via Real (gourmet appetizers, $6 per person, minimum of two persons). View the full menu here. Bringing Cali vibe into the city’s Tex-Mex scene, El Famoso is a fun, casual hangout spot serving delicious food at affordable prices. Newly opened at Las Colinas’ Water Street complex, El Famoso has the Williams Square in the background, which lights up beautifully at night. Their margaritas have quickly became one of our favorites, as they have the right balance of acidity and that tequila kick you’d expect from a good margarita. 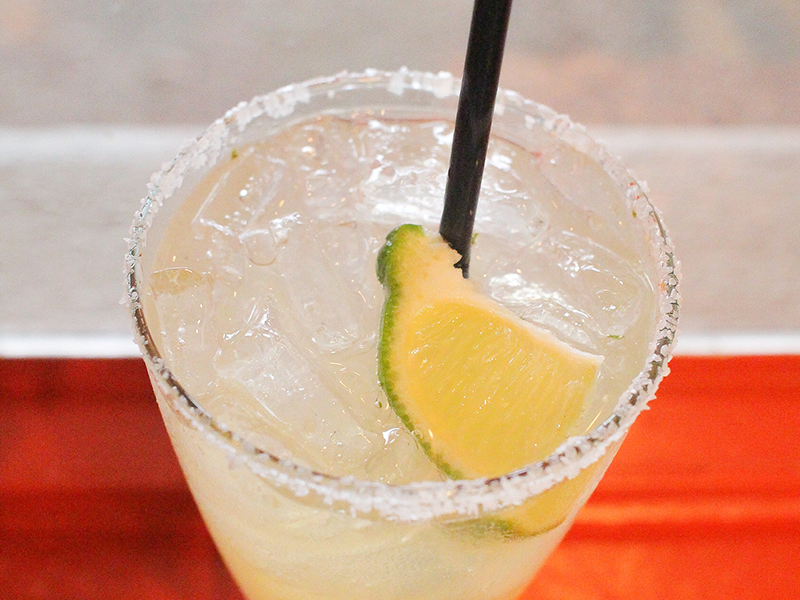 Must try: El Famoso House Margarita, they are $2 on Tuesdays from 5 pm till closed! Have them with some chips and Queso (pretty spicy!) or their Elotes (charred corn with crema, cheese, and chili powder). Click here to view their menu. Unassuming from the outside, vibrant and lively on the inside – La Margarita prides itself in being the neighborhood’s official “Rita Lounge”. We love the string lights, the murals on the wall, and the great atmosphere here. The salsa (served warm) is a plus too! Must try: TitaRita (this classic has been around for 20 years, very strong and delicious!) and the Tex-Mex Combo for lunch (enchilada, tamale, chalupa, taco, flauta, or burrito served with rice and beans). They also infused ritas like strawberry, mango, hibiscus and jalapeno and their happy hour is Monday to Friday from 11 am to 7 pm! Full menu is available here. Cozy and unpretentious, Arturo’s is a neighborhood joint that offers authentic Mexican cuisine in a colorful setting. 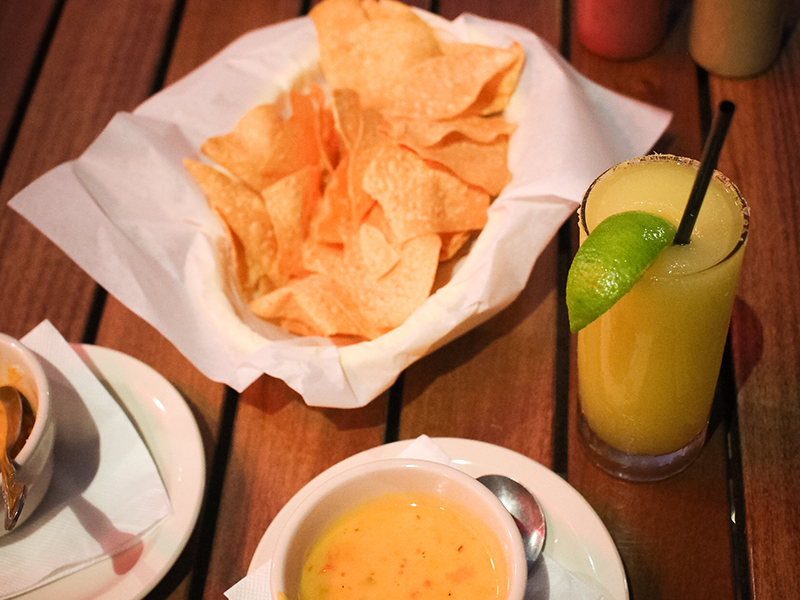 We love that they offer a good size of margaritas here for only $8.25! They are pretty tart, so if you like your margaritas more on the acidic side, you’ll love it here! 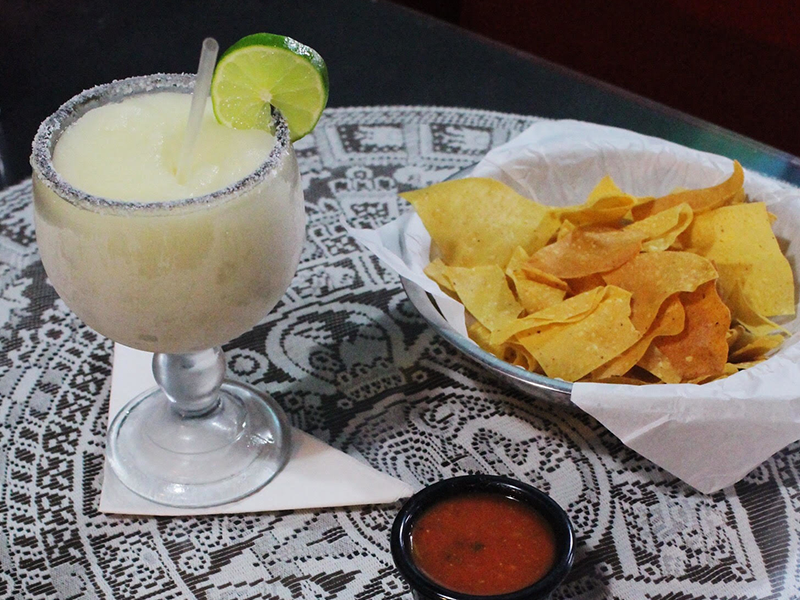 Must Try: Margaritas (frozen, on the rocks, or strawberry), Chimichanga (soft or fried, chicken or beef with yellow or white cheese), and their Sopapillas (fried flour tortilla with honey, butter, and cinnamon) for dessert. Their Flan and Churros are delicious as well! 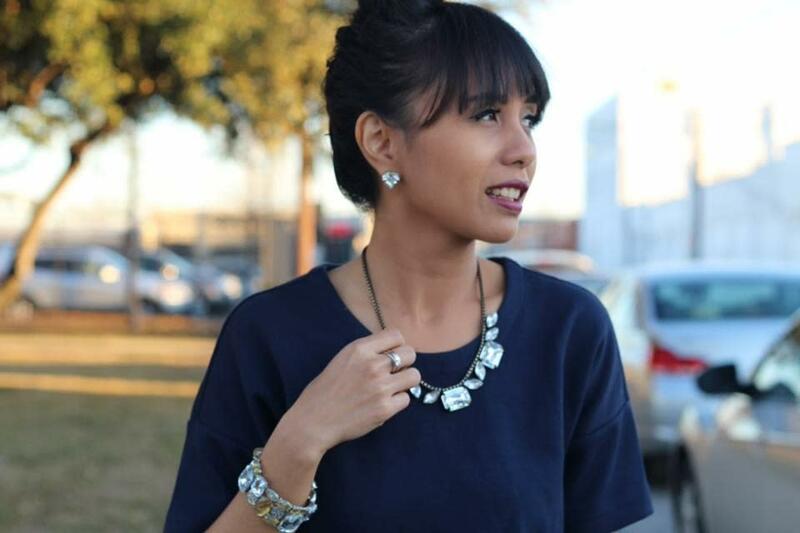 Click here to view their full menu. 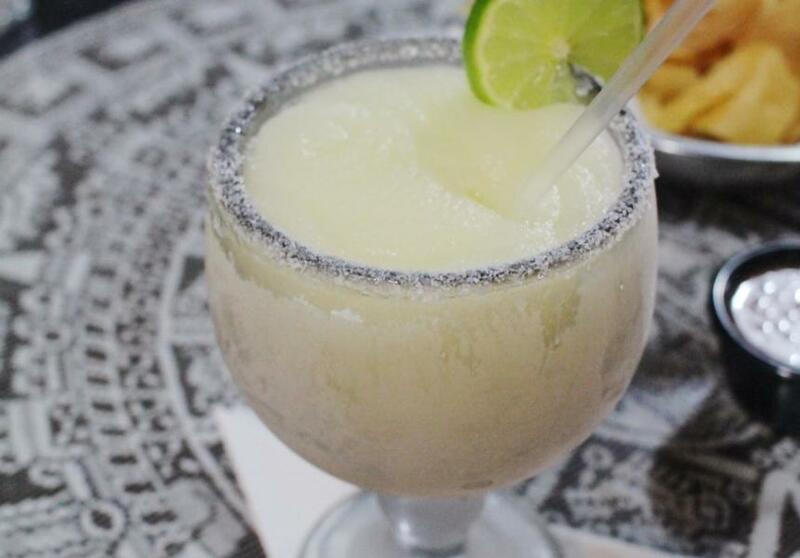 As one of the most well-known Latin food establishments in Texas, Gloria’s has proven to have some of the strongest margaritas even after three decades! Whether you like it frozen or on the rocks, house, skinny, or flavored, their margs will surely give you that tequila kick like no other. 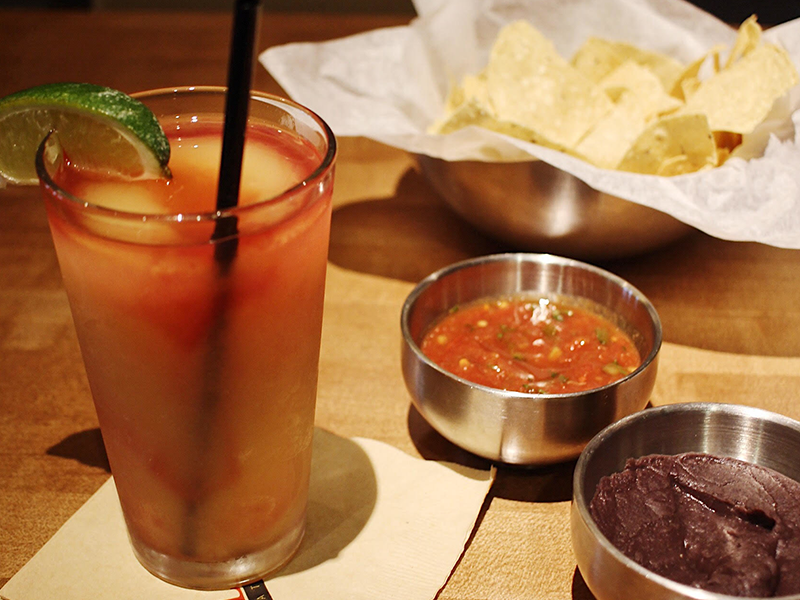 Must try: Guava (fresh guava, orange juice, and agave nectar) and Gloria’s Signature Margarita for drinks with Tacos Al Carbon (skirt steak tacos) or Nancy’s Favorite (tamale and pupusa samplers) to munch on. Keep in mind that their happy hour is ALL DAY from Monday to Thursday. Click here to view their full menu.